Doesn’t this child look like a doll? 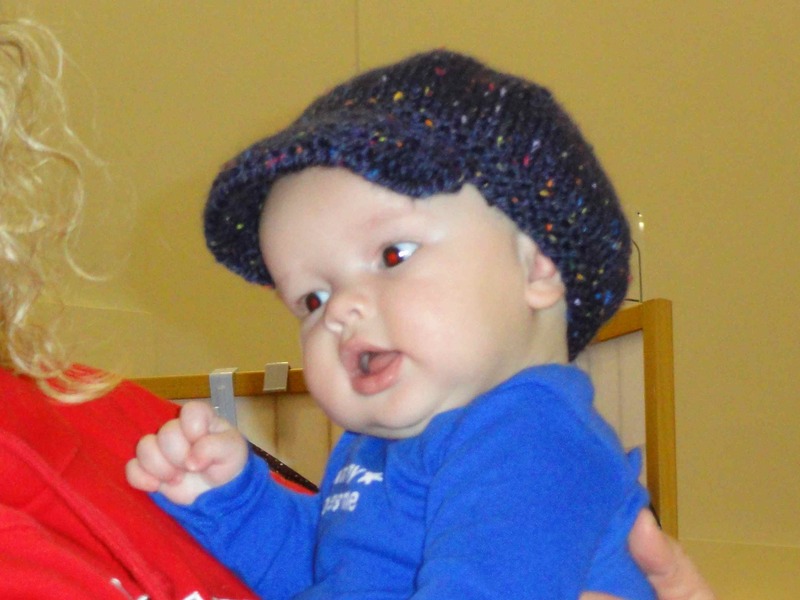 So cute…and the hat is fab too. In fact, the hat is so fab that I am in search of a pattern to crochet one for a little boy that will be arriving in a few months. At the craft show a couple of weeks ago, my preggers crafty pal from Ta Da! Workshop fell deeply, madly in love with this hat and suggested that it would make a lovely baby shower gift for *cough* somebody. I, of course, must oblige. Anyone have this pattern that they are willing to share? Or know what brand the yarn might be? I know ~ he was a living doll! His mom was so sweet to let me photograph him.